11 Women Leaders Say Their Respects: What Does It Mean? Closing out the year and launching into the New Year, what does respect mean to you as a leader? Amra and Elma Beganovich share their secrets on earning 2.3 million followers and founding a digital branding agency. In the financial technology entrepreneurial space, these leaders offer insights for all startup founders. Gloria's "The Sum" Weekly Column: Word of The Week Is FIERCE. Take The Lead is taking a week hiatus 12/26/2017 and will return on 1/2/2018 with more original content and fresh news for you to make the New Year ripe for action. 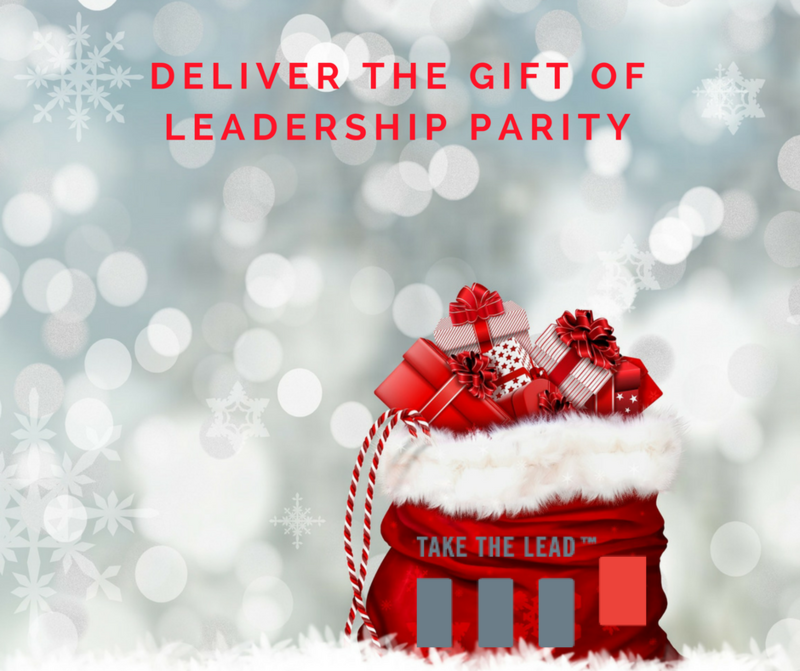 Join us in celebrating the holidays by giving the gift of leadership parity. Set goals for yourself for the coming year on what you intend to accomplish as a leader. Make them specific and doable starting with registering for the online course, The Power To Lead. In this new Gatorade spot, "Sisters in Sweat," tennis superstar and new mother Serena Williams lays out the lessons to "keep playing" that we can all live by. Marilyn Loden reflects on her label for generations of gender inequity. See what the year's timeline can teach us all about women in leadership. The actress, producer, director and creative force shares her story on a career of harassment by Harvey Weinstein. Six thought leaders consider next steps from this culture shifting movement. Check out the stats on highest number of women running for Congress ever. Take The Lead's Kristin Romaine adds her own #MeToo stories and those of women she loves. “If we think about longevity of any career, it is totally that: to not just have the instant gratification, but rather to think ahead. There's always something higher to strive for." When you use your power to give to Take The Lead, a 501(c)3 nonprofit organization, you’re joining the movement for gender parity in leadership by 2025 and enabling us to run learning programs and skill building workshops that truly make a difference for women. Be part of this important and exciting movement for good and indicate your support level below. Tax-deductible contributions of all sizes are needed and appreciated to seed and scale up Take The Lead’s four programs and make them available for all women. $3600 provides scholarships for three new Leadership Ambassadors to be trained to deliver the 9 Leadership Power Tools to Advance Your Career training to others. This enables Take The Lead to scale up and reach exponentially more women.